""Terri is amazing! She helped us buy our very first home 6 years ago, and made the process simple and easy. Then last year, we of course turned to Terri when we were ready to sell that home and relocate to Grain Valley. The thought of buying and selling at the same time terrified me, but let me tell you, Terri was an absolute lifesaver. She was very patient and accommodating, and with her help, we found our dream home. We couldn't have done it without her, she's the absolute best!" "Terri was great! I wanted to purchase a house in Kansas City but knew little about the city going into the process. She was patient, understanding, professional and kind. She first showed me many properties in different areas so I got a feel of what was out there and where I might want to purchase a property. When I found the place I wanted, Terri exceeded my expectations and then some. Even after the purchase of my house was over Terri has continued to be of assistance with problems I experienced after moving into my home." "Very personal, well communicated, and overall pleasure to work with. She was very quick to respond to any text messages/calls when I needed her to, and this helped make the negotiation seem painless. Terri makes it obvious she knows what she is doing and I will use her again in the future!" "We met Terri when we responded to our first Zillow ad. But what sealed us as her clients was her “hands off” viewing approach. There was no volunteering of opinions given, she waited to hear what we thought of the property and then encouraged questions. And we gave her the questions! We asked about financing, the type of sale it was, age of the house and condition of the foundation, etc., etc. She answered with confidence and honesty by telling us what she knew or where and who she could get the answers from, promising to get the answers. Most of our questions were about different types of financing so when we met the next time, at another property, she came with a financial officer that she’d worked with. She didn’t just find out answers to our questions, but brought to us a professional, in the subject, who knew the answers. That bought our trust in her. We did not ask Terri to find properties for us, though she offered, instead we wanted a realtor for their expertise in real estate law, the advocacy they provide for the buyer with the seller and because of their endless resource of professionals in the real estate industry. She personally knows inspectors, loan officers, appraisers, and others. Terri Gilgour is a professional in every way, seeing that all “p’s and q’s” are in order and ready for closing so there are no surprises. 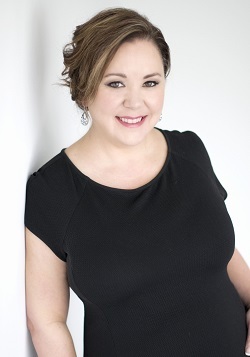 We highly recommend Terri Gilgour as your next realtor."